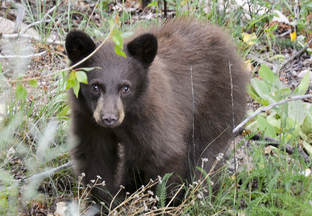 SANTA FE – As we head into summer, the New Mexico Department of Game and Fish again reminds the public to leave alone any deer or antelope fawns, elk calves, bear cubs or other wild animals they may find. Please remember – young wildlife that people discover are simply hiding while awaiting their parents’ return from foraging nearby. Observe the animal from several yards away. Typically wildlife babies that appear to be dry have bonded with their mothers, and you can safely take their pictures from a safe distance, but don’t linger in the area or touch the animal.